Attendance is optional, productivity is not. ≈ Comments Off on Attendance is optional, productivity is not. I admit I chuckled a bit at that. I am in an envious position where I can manage my workload and, getting it done quickly with (slightly imperfect) time management expertise, I have more down time than most. I try to do an excellent job, but am most challenged when I, like you, are trying to do an excellent job when another expectation-of-an-excellent-job rolls up, closely followed by more. It’s hardly surprising that we want a quiet 10 minutes to prepare for more work. But Larry does have a point. We are paid to do more than turn up, we are (as my first employer actually told us on an induction course) to put in a good hard day and go home pleasantly tired. Unfortunately, the world has changed and that is now harder to do. I’m not talking about back-breaking manual labour, even though that is ever-so-slightly less back-breaking than even it was. The world has changed in that our ability to focus on ‘work’ has been severely compromised by our inability to focus properly on anything! Mobile phones pinging, bleeping, ringing or just being in view mean we MUST check them several times an hour – even if only to see why we HAVEN’T heard a ping or a bleep or a ring. Downtime also excuses a quick Facebook/Instagram/Snapchat/WhatsApp session, doesn’t it? Perhaps this is why we are now providing courses on ‘How to manage millennials’, a concept that confirms surrender to the ‘me’ generation, rather than suggesting, firmly but politely, that they are being paid to benefit the employer, they CAN be replaced if they don’t work hard enough, and the sun does NOT shine out of their baby-smooth bottoms. You are paid to work, to produce. Work is measured by RESULTS, not merely PRESENCE. But if you can produce the first through maximising the use of the latter without burning out, your job will be safe. Wherever you work. ≈ Comments Off on Where HAS the year gone? In a blink of an eye, just over 1/52nd of 2017 has passed by, and we’re already back into the post-holiday routine. Suddenly and unexpectedly, the work that built up while we were in the pre-holidays procrastination period has hit us broadside on – all the stuff people put off ‘because it’s Christmas’ still needs to be done, but now it needs to be done alongside all the new work that has arisen as it always does, and always will. How much of the stress we associate with the amount of work we have to do is wholly the result of our unwillingness to manage our time – or more accurately, ourselves? I’d argue that one of the major factors in our workload woes is our own resistance to doing things at the appropriate time, in the appropriate way, and to the appropriate standard. To a large extent, all three of those factors are within our Circle of Influence, but many of us – the time-strugglers – are unwilling to buy the book, do the course or just take the time to learn how to manage ourselves and our time to best effect. And it is in ‘post-break’ moments that this situation becomes more stark. One big mistake is putting off the unrelished 5-minute-but-really-important task. Maybe a telephone call, maybe writing a letter or filling out a form. It’ll be a tedious, hateful job that should take 5 minutes, but because it’s tedious and hateful we keep putting it off. Then it suddenly becomes urgent, or worse it doesn’t get done until it’s too late, and we suffer the stress that urgency or potential disciplinary proceedings that ensue. And it was all our own fault. You can’t manage time, but you can maximise the time you have, and one simple strategy is to Do It Now! The time management experts all agree – a short task needs to be done as it arises (wherever possible), because doing so opens up available time for the more important stuff to be done properly. It clears space in your head, and it is an inoculation against the stress caused by procrastination. 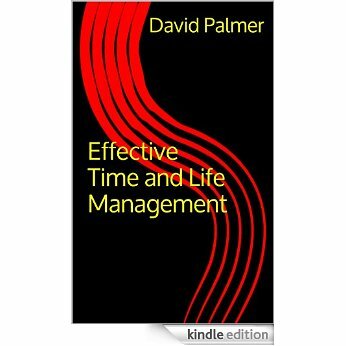 Of course, Do It Now is not the cure for all time management ills, but I can state two things from my experience of applying the time management methods repeated in my book Effective Time and Life Management, available from Amazon Kindle HERE. First, doing the quick things now keeps a desk and a brain clean, tidy, and available for creative thinking, planning and execution. Second, having created that time through applying the Do It Now philosophy and by creating and executing on properly scheduled priorities, life is less stressful and much more productive. Not just in work, but where leisure time becomes available because the work is done. And by planning that as well, life can be great. Buy a book – preferably mine but there are others listed on this site – and apply what is contained therein. And don’t say you haven’t got time. Read a book one Saturday instead of going to the pub. You’ll probably spend less and will definitely learn something that can improve your lot 24/7. Go on – I very dare you. HERE. Time to step up – and this time I mean ME. ≈ Comments Off on Time to step up – and this time I mean ME. One of the concepts Hankel suggests we use is to ‘Name Your Purpose’, which resonates with me as a proponent of Personal Mission Statements. It’s about creating an identity for what you want to achieve, so that it becomes a little more real to you and to your subconscious. As you know, the name I use for my long term mission statement is the Three Resolutions, but this week I began to seek an outcome which I also named, called the Mastery 55 Project. Therefore, despite my preaching about character and integrity, I feel I am not walking my own talk. Hence the project, through which I intend to lose all my gained weight, recapture a higher level of physical fitness, increase my productivity, regain that sense of calm and just become ‘better’ by my 55th birthday. The project has a its own name, but it does not replace my mission statement as much as it serves it in specific areas, particularly the self-discipline, First Resolution element. We all, except the saints, veer off course occasionally. It’s how quickly we are willing to correct our course and get back on the right road. And one method I am using to reinforce my intent is to review my own book, The Three Resolutions! The best way YOU can keep me honest is to read it and challenge me to live by it. You are my accountability partners. Thank you. If it was up to me, Adam and Eve would’ve paved Eden over. ≈ Comments Off on If it was up to me, Adam and Eve would’ve paved Eden over. I have friends who are exceptionally productive and occasionally bemoan my own comparative laziness when it comes to hard work, but I am steeped in the philosophy of The 7 Habits and as a result know the difference between working hard, and working smart. It’s an old cliché, in fairness, but clichés are profound wisdom in small packages. In other words, they hold great truths. Take my garden. I bought my house off my in-laws. When they got it the back garden was flat, even lawn. By the time we bought it, it was a terraced garden, but not built by a craftsman. It was built by an enthusiastic amateur. I, an unenthusiastic non-gardener, then took it over, tried to even out the terracing and then spent the next 20 years with annual weed-hacking. Eventually, my mum paid for several tons of gravel, and my family, some friends and I flattened it enough to gravel it over completely. Job done. Other people love gardens and love gardening. They put hours and hours of effort and money into making them pretty. So – am I lazy when it comes to gardening? No, I just don’t consider it important enough to spend my time on it. A garden is like a physical manifestation of a value statement. If you like gardening or consider it important to have a nice garden, you value it’s creation and maintenance. So, kudos to the gardeners, they create beautiful vistas and I respect and marvel at their work. But a complete waste of time ……. For me.